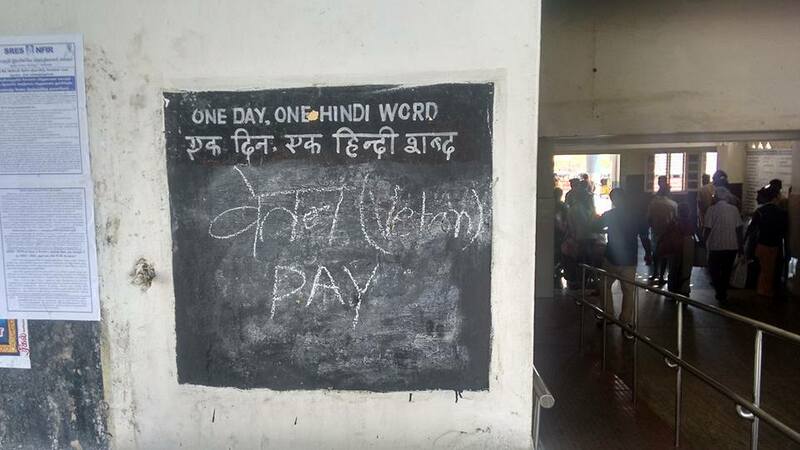 H-280 Andhra Bank branch manager at Kushaiguda Branch, Hyderabad writes a Hindi word everyday on a board for employees to see and learn (2015). 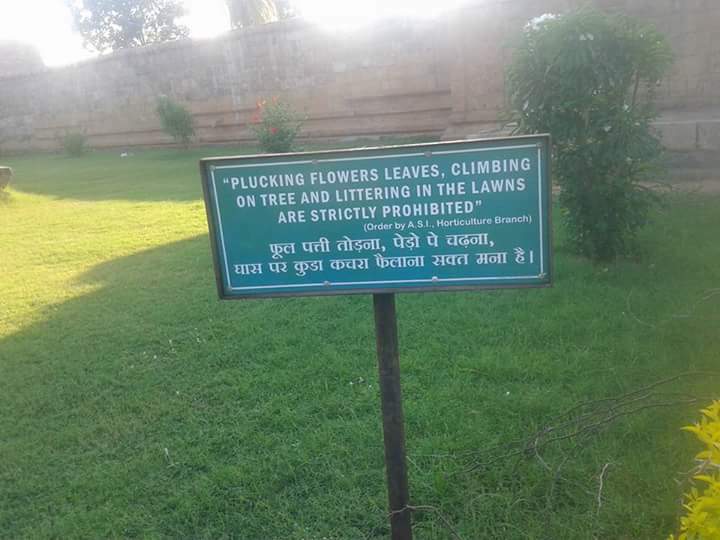 Indian Government requires it. H-282 When Indian PM Modi visted Microsoft office in America in September 2015, the large background poster at the welcome ceremony had the equivlence of "Digital India" wriiten in all Indian languages listed in the constitution. Unfortunately the sppeh welcoming him was in English and Hindi. 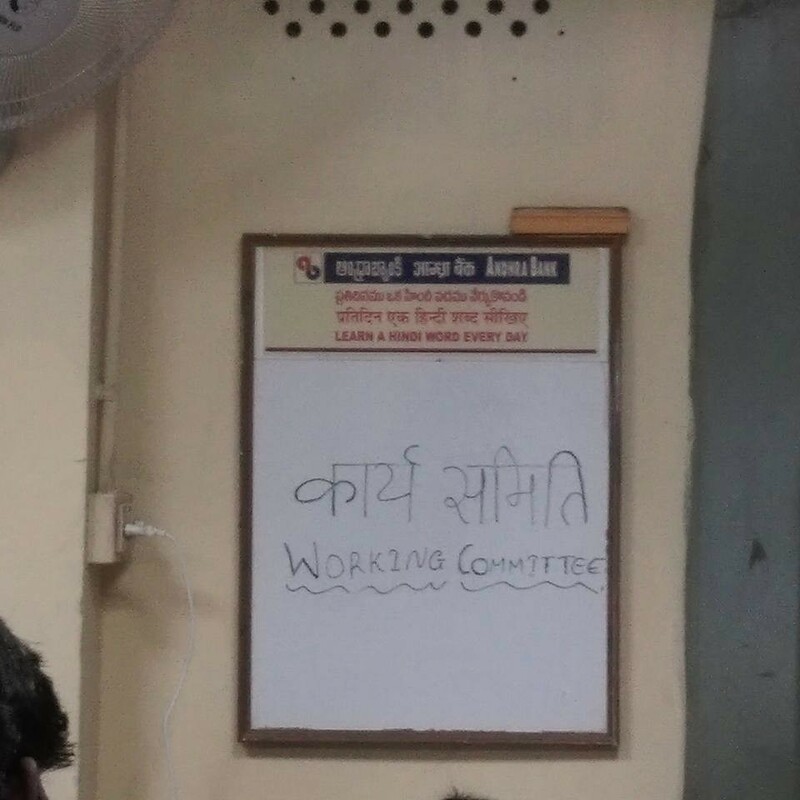 It could have been in English and Mr. Modi's mother tongue Gujarati thus giving importance to one's mother tongue in the multi-lingual India. May be the Microsoft executives in America did not know the language issue and sensitivities in India. In spite of this, we applaud Microsoft for including the multiple languages of India in the poster. 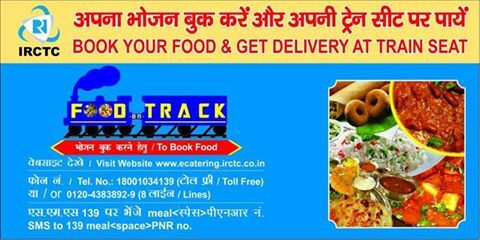 H-283 Poster advertising IRCTC (Indian Railway Catering and Tourism Corporation) in Southern Railways is in English and Hindi only (2015). H-285 Messages posted in the Gangai Konda Chola Puram Temple which is under Indian Gpovernment control because it is an United Nations Herotage site are in English and Hindi only. No Tamil in hr temple built by one of the greatest Tamil kings Rajendra Cholan-I. He defeated msany northern armies on his ways to Ganges and brought waree from Ganges for this temple. Now Tamil has no place in the temple he built. H-286 Whenever someone posts a blog in India on Blogger in an Indian language other than Hindi, it says "if you post in Hindi you will get more readers" (2015). This is nonsense. 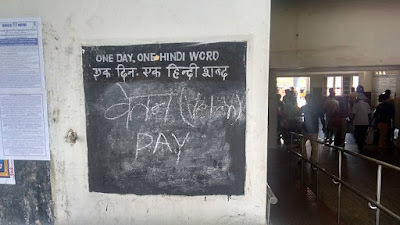 If someone from Tamil Nadu posts about Tamil Nadu in Hindi, you will get miniscule readers. True for all southern and many eastern states. 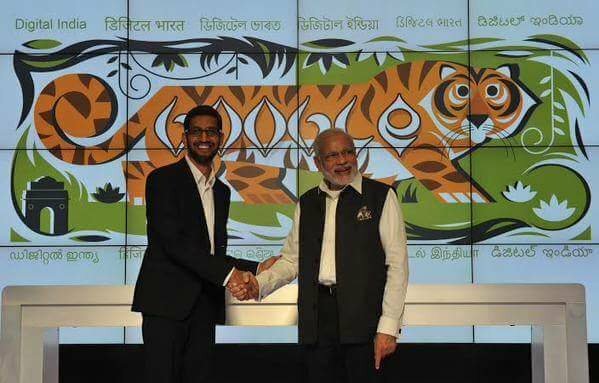 Google India initiated an Indian Language Internet Alliance; this is counter to that spirit.